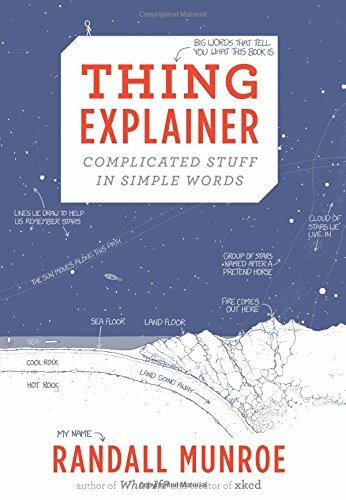 In Thing Explainer: Complicated Stuff in Simple Words, things are explained in the style of Up Goer Five, using only drawings and a vocabulary of the 1,000 (or "ten hundred") most common words. Explore computer buildings (datacenters), the flat rocks we live on (tectonic plates), the things you use to steer a plane (airliner cockpit controls), and the little bags of water you're made of (cells). 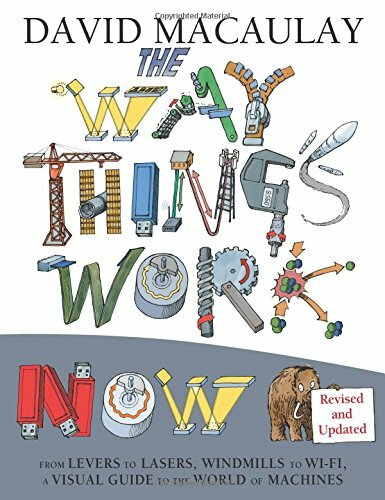 From the award-winning Web site visited by more than 2.5 million people every month comes the hardcover reference guide How Stuff Works. This book is a definitive guide to the inner workings of everyday items. In this fun and infinitely informative guide, Marshall Brain and staff of "stuff" experts at HowStuffWorks, Inc. unravel the mysteries of more than 135 intriguing topics. You'll be fascinated by the world around you!In Marshall Brain's trademark easy-to-understand language, complemented by beautiful full-color illustrations, you'll discover the basic mechanisms behind everything from toasters to turbochargers, dieting to DVD players, and cell phones to submarines.Technology and scientific principles are all around you: whether in the chips needed to execute commands on your computer, or in determining how many calories you need to burn in order to lose five pounds. This exciting book explains—in a way you can easily grasp—how technology is a part of everyday life. 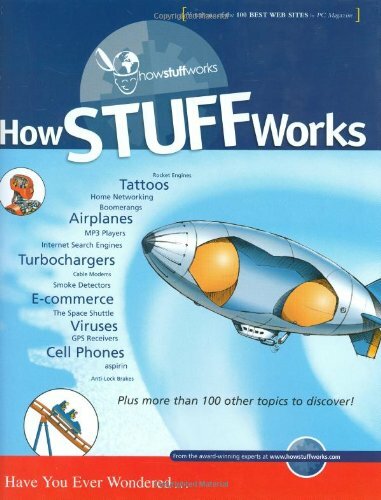 No matter what your age, if you're intrigued by how stuff works, you won't be able to put down How Stuff Works!